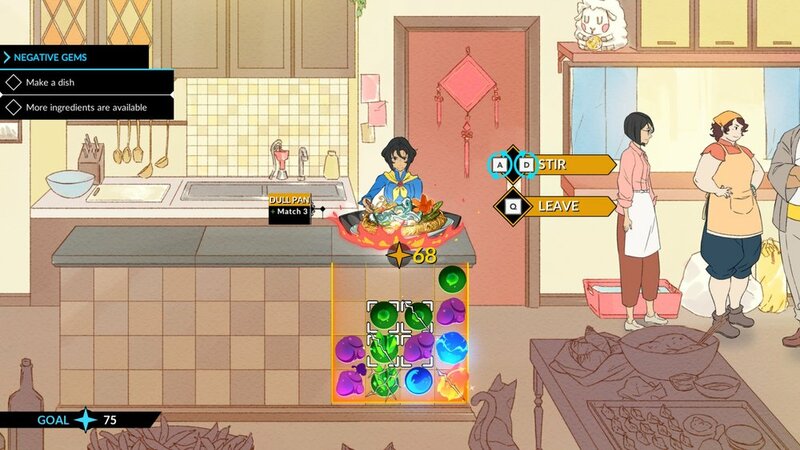 The game starts with a nice tutorial explaining the basic mechanics; You hunt monster by using an array of hits and magic powers and gather parts from them and the environment, you then run back to your kitchen and cook these ingredients in order to create taste gems. by matching earth, fire and water elements. 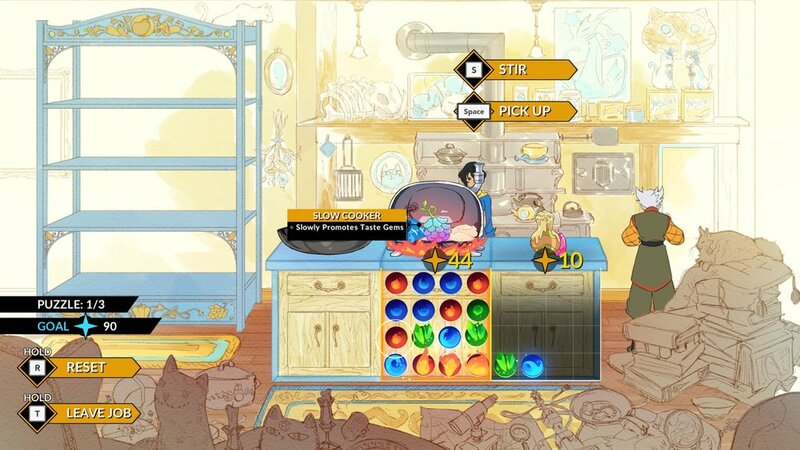 Better gems are worth more points and the resulting dish depends on what gems and ingredients you used. I’m vert curious about how they figure which dish you made from the ingredients you put in. After a while you get more complicated mechanics, like gems that break after a certain number of moves, poison and bones. By doing three type of missions in town, you get money to buy upgrades. These missions were really the best part of the game for me. 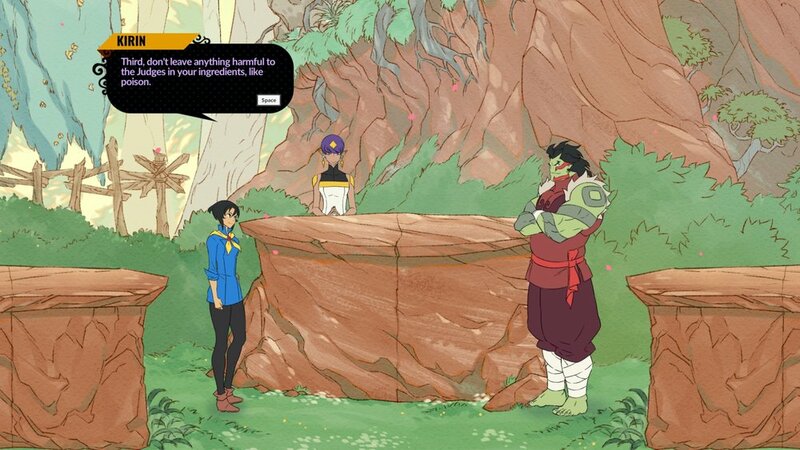 There’s a puzzle one where you need to get to a certain score, a hunting one where you’ll usually defeat plenty of monsters and a cooking one where you just need to do as many specific matches during a set time. That money is spent on battle upgrades, cooking upgrades and cookware. 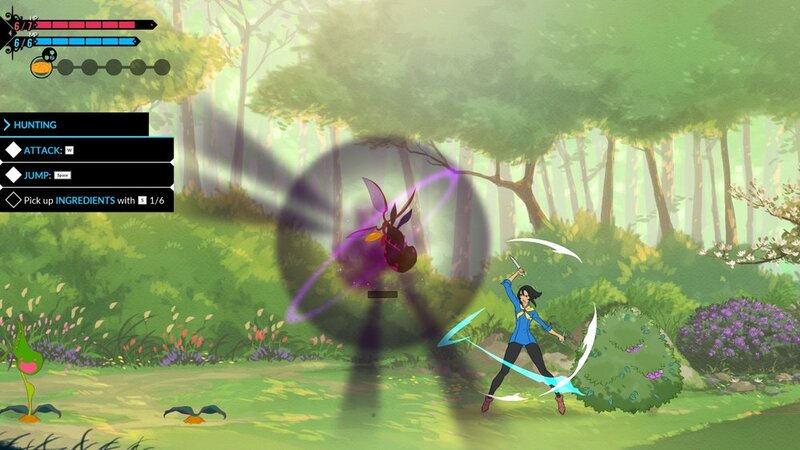 Battle upgrades include getting more health and mana, double jumps and other abilities like that. 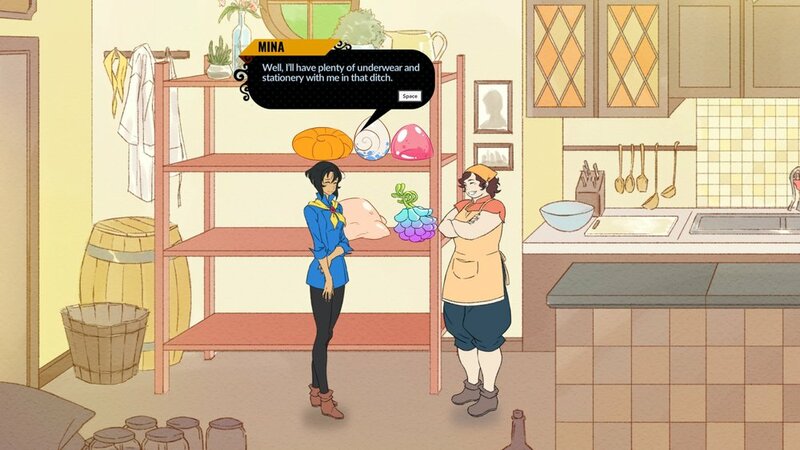 Cooking upgrades are ingredients you can start with and books that give you bonus points if you manage some difficult challenges and different cookware will let you do things like upgrade gems passively, chop off unwanted ingredients and more. The actual chef battles were very stressful for me, but I suppose that’s the point. You have between one and three judges and each of them wants a specific element in their dish - sometimes it’s more than one. You also have a star ingredient that you need to try and use as much as possible in your dishes. It just gets very hectic. Going to hunt and bringing back the ingredients isn’t too bad, but juggling between all the dishes and their preparation was kinda tough for me. I fumbled with the controls (although they’re very simple) and sometimes would just waste precious seconds trying to stir something or pick a plate up. I also felt that in multiple dish battles, one of my dish would always be less impressive than the others because I couldn’t split my time well to work on it. 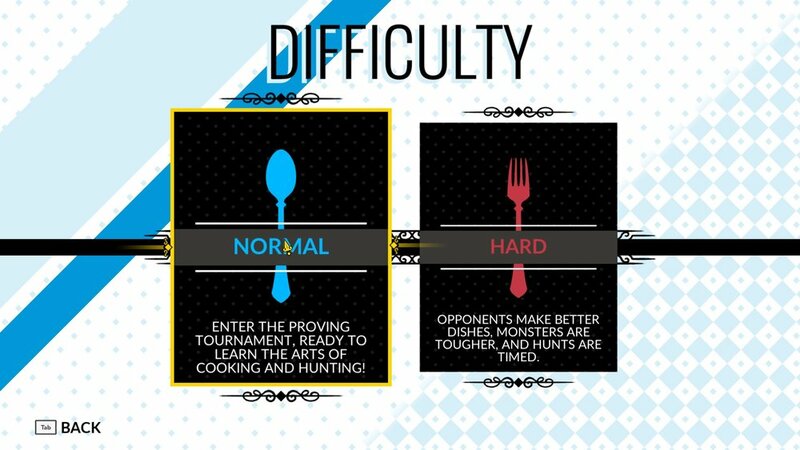 I’m not sure how you would change that or if there’s even a need to change it, but I became so apprehensive of the cooking fights that it kinda turned me off from the game against my will. 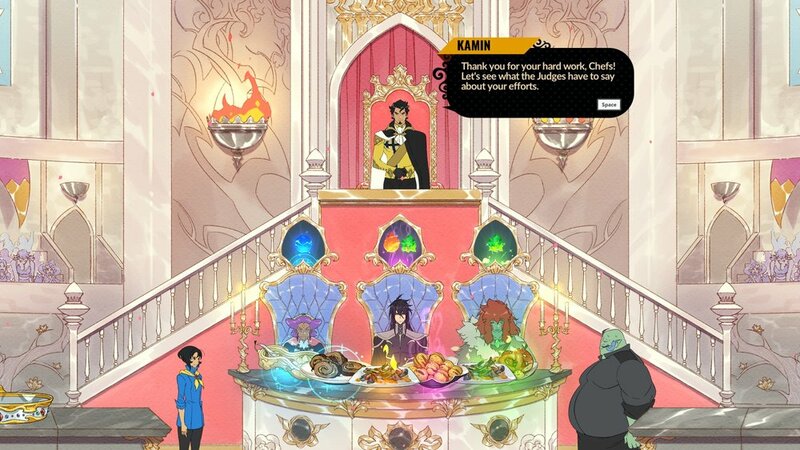 Ultimately I wholeheartedly recommend Battle Chef Brigade, its got really cool characters and mechanics and the core gameplay is really satisfying. The fact that I couldn’t -stomach- the pressure during these Battles isn’t much of a fault of the game; After all I did win all of them without too many problems even if I always feared I’d lose. You really should try this game, it’s a recipe for success!